There once was a time when asbestos was the most popular building material around. But in today’s day and age you would be hard pressed to find an asbestos removal contractor in NJ/NY today who would think of using them in a project. However, the unfortunate truth is that many buildings standing today were built in a time when asbestos and lead paint were commonly used and they still have these harmful substances within their walls. If asbestos or lead paint are present in your home or workplace, these can be detrimental to your health. Luckily, our workers can be at your side in no time at all. With our competitive pricing and reliable removal work, you can be sure that your home or office will be asbestos-free as fast as possible. At A. Mac Contracting, we have made a commitment to removing these dangers for you, so you can live with a peace of mind. What we have found is that many do not even realize they are being exposed to these materials. Because of this, our services range from diagnosing toxicity levels and problems to actually carrying out the removal process. Our professionals are well qualified and well trained to handle these difficult situations and you can rest assured that the job is being performed safely and efficiently. We even offer free quotes, so you always know what you will be paying when it comes to protecting your health. Problems such as asbestos may seem outdated, but they are very real issues today as well. 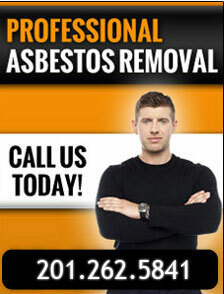 Let our premier asbestos removal company provide you with high quality, hassle free service. We offer the lowest insurance MOD rate in the industry and have an excellent EMR rate as well. From acquiring a permit to the final air testing, we will bring your home or office to the present. To find out more about the NJ/NY asbestos removal services we offer, call A. Mac Contracting today at 201-262-5841.